Buttons popping off that “lower shirt area”? One of the tests, or should I say “my tests” to determine if your seriously overweight does NOT involve the scale, although the scales are obviously a reliable indicator as well. It does NOT involve “skinfold” measurements, or “BMI” indexes, neither of which I have ever paid much heed to, for various reasons. At my current bodyweight of around 60 kgs and a body fat percentage of probably around 3% (well, not that low, but you get the drift) I’d probably be classified as “seriously malnourished”, or some such junk. And yet the truth is, my friends, I’ve never felt BETTER – and stronger – than I do now. A lot of folks may look at the cover picture of my book “Succeed against all odds”, and say that “looks good”. I was around 75 kgs at the time, which what the “medical men” consider to be an “ideal” weight, and yet I could NOT do many of these things I do now, including the VERY BEST EXERCISE I constantly “tout” in my exercise book. And therefore, I never quite got that buzz going, despite doing literally hundreds of pushups etc daily. YES, I was in great shape, but not as good as NOW! Anyhow, getting back to the overweight part. Fact also is that at one point in my life I’d be “looking down at my belly after lunch” to see “if them buttons were fixing to pop off”. I’d be feeling bloated all day long, and I’d have zero energy to do anything. I’d be cranky, and get next to nothing accomplished. Most of all, I was accumulating way too much “junk in the trunk” if you get my drift. Not good. And so, whats my patented test to see if your seriously overweight, or even a little overweight? Simple – get in the “table” position of the “table pushup” that I teach in my book, and HOLD for time. Thats all. Don’t DO the pushup. Just HOLD. 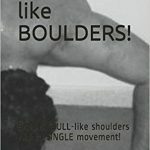 Those of you that are seriously overweight will NOT be able to do this for more than a few seconds before you find your shoulders beginning to shake, and your lower abs (and lower back) beginning to cramp due to the sheer (unnecessary) burden placed on it by all that excess “tubbage”. And a lot of you that have weak lower backs will feel it in that area, although not in the shoulders most likely due to less weight. A great, great exercise, my friends. One that has been around for ages, and one that is OFTEN IGNORED. It’s by far not the key to fitness by itself, and yet, it’s an essential “side” item, so to speak. And if your interested in more “nuggets” of info as mentioned above, then get my book. It’s got ALL the information you need to ensure that “dem buttons don’t be popping off anytime soon”, hehe. P.S. : – The fitness book is available right here: – https://0excusesfitness.com/the-book/. P.S. 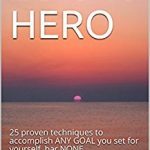 #2 : – My other books are available on Amazon for now. 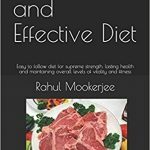 Navigate to my author page at http://www.amazon.com/author/rahulmookerjee to stay updated on future releases! P.S #3: – These other books will ALL be available from my other site at www.rahulmookerjee.com at some point in the very near future. I’ll send a shout out once thats done! Testing to see if the newsletters go through! This is a “test post” to see if the newsletters go through to the subscribed users as planned. Now, right off the bat you might be wondering what Math has got to do with fitness, correct? And I wouldn’t blame you. Though Math was one of my favorite subjects and one in which I excelled, I don’t use much Math in my daily life other than adding up reps while working out, and counting moneeeee, hehe. Actually, speaking of which I don’t use much of what I learned in college or school anyway in my real life. Personally I think most “commercialized” education systems feed you a crock about life in general, not just education. Anyway, my Math teacher in 12th grade took me aside once and said “Your good at Math. Why don’t you work harder to improve?” (this after I scored a C on the examination. Could have probably got an A+, and he probably saw that). Fast forward a few years later and my Math prof (CAL 102) takes me aside into his office and asks me why I dont attend a single class of his. And more to the point, how I consistently aced all the examinations he gave out without attending a single class. Well, one reason was that I knew a lot of the stuff already, although I had forgotten it to be honest. But, his class was more like a primer for me, and boring as heck. While the rest of the students were flummoxed about how to equations etc, or whatever they have in Calculus (I forgot again), I was banging through the problems and getting straight A’s. “You need something more challenging”, were his words as he walked straight through the door, waving an “A” exam paper at me. Fast forward a couple of months, and it was midterms. I failed the midterm he gave me. Prof called me in again, and – get this – handed the test paper back to me without grading it. “You can do better”, was all he said. He then looked at his watch, and said “there are a few hours until this needs to be finally submitted” (was about 1/2 a day IIRC). “Go home, and work on this again”. All this said mildly, and yet something struck a chord. I went home – and redid the whole darn thing within the space of a few hours and ended up with a B on the midterm, and an A in the class. And NO, my prof did NOT tell me to go on and get a degree in Math, although I myself chose to get a minor in Math. ALL he said was “you should try and get a Master’s degree”. Thanks for the advice, Dr. K. You were more right than you knew, althought NOT because you advised me to get a Masters degree. Now, and again, what the heck does this have to do with fitness? But it does, my friend. And NOT just the “challenge” part. See if you can find the lesson in it. Man oh man, am I ZONKED! WHAT A RUSH! when I post something on my new blog. its NOT a “wrestler’s pushup”, or “Hindu” pushup. And NO, it is NOT a squat. highly recommned hill training for superior fitness. idiot that it “resembles” yoga, but isn’t real yoga. Well, I never said it was, did I now???? a foreign language. More on that later though. Ah yes, deep breathing. VS holding the breath. your breath – when – GET this – your OUT OF breath? to hold your breath while exercising, by the way. More on that later as well. 12:49 P.M.
PS: 1:00 PM. Couldn’t quite figure out the auto post. Project for later! Well, I forgot to add that the book is available for purchase on this site as well, but as a PDF for now until I figure out the Kindle options. Click “book”, and you should be taken to a page where you can buy. The Amazon link is here: – https://www.amazon.com/dp/B074M62Z1Z. That’s for the US marketplace if I got it right, and folks in other countries should be able to do a search for “0 Excuses Fitness” and get to the right location. I’m out for now. Back later with more. And yes, it’s been a pretty long time. I don’t really want to get into the “whys and wherefores” of that here, but for now – we are BACK – and with a BANG. We are also revamping under a new brand “0 Excuses Fitness”. The name enough should be self explanatory given that EXCUSES are the # 1 thing people “think of” when asked to do anything remotely resembling “a hard workout”. The biggest problem with people is that they are lazy, and this applies equally to men and women. Ah, why pound out those endless sets of pushups when I could be “babe watching” in the gym? Oh, I know climbing hills is good for weight loss, but, but … I will SWEAT too much! I don’t want to look “ugly” and “sweaty”! Laugh or simmer away as you choose, but both those above comments are true, and I’ve heard them bazillions of times along with others I’m not going to mention. Oh, there was one about “stair climbing” being bad for the knees which I quoted in my blog a year or so ago. Amazingly enough that lady was actually in good shape and doing many of the right things, but had been fed a “bill of goods” by the so called experts (some overweight doctor in this case). Now, I don’t know about it, but I’d take advice from someone whose been there and done it, and looks it (or at least looked it at a certain point in his life). I wouldn’t take advice on growing hair from a bald dude, and neither would I want to take advice on fixing “creaky” knees from a doctor so overweight that his chest quite literally morphs into his stomach if you get my drift. And here’s the kicker, folks. I’ve BEEN THERE AS WELL, and the pictures in the new fitness book I’ve just released on Amazon PROVE it. And no, I’m not coy about where I was and where I am now. The bottom line is that the info I’ve included in the book works, and the pics are PROOF. The last book didn’t have as many pictures as I liked, but this one DOES. Last, but NOT least, this book is written in a direct, brutally honest, “straight from the heart”, “pull no punches whatsoever” way. If that offends some, so be it. I’d rather be upfront and say it like it is than pussyfoot around the bush and get nowhere. You’d be well advised to do the same, but thats a topic for another time. And there it is, my friend. You have NO EXCUSES now. GET TO WORK – and keep me posted! 0excuses fitness – JUST DO IT! Welcome to 0 excuses Fitness! This first post will be a short one since I’ve slept like three hours in the past two days (nights?) and have been busy at “work” pounding out a couple of new books, “0 excuses fitness” being one of them which will be sold through this website as well as on Amazon etc. Actually, the last week has seen me crank out around SIX books. Such is life when one is in “flow”. Things just start to flow automatically, and one thing happens after the other. And regardless of physical exhaustion, the “words” just keep POURING out like chocolate syrup out of a vending machine, thick, creamy, delicious – but most of all, with SUBSTANCE. And no frills whatsoever. A quick gander at the “description” page for 0 excuses fitness will likely explain what I mean. Those who know me personally are well aware of my brutally honest, down to earth and DIRECT communication style. That same style is in evidence on my personal website at www.rahulmookerjee.com, and will be evidenced in my blog writings here as well. 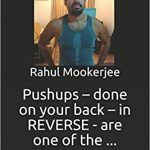 I do eventually plan on moving all the old blog material from rahulmookerjee.com on to THIS site, but for now, head on over to the blog at that location for some GREAT fitness related reads. Other hand, stay tuned for new posts here as well. I’ll be trying to update as frequently as possible – thats for sure. And now I’m off for some much needed ZZZ’s. My fingers just don’t have their own life anymore – time to RECHARGE!